« Be a Walking, Talking Fountain of Love! Even if you’ve been making a living as a professional writer, do not assume that publishers will swoon over the quality of your work. I spent ten long months writing a business book with Tom Gegax, founder of the Tires Plus chain, only to hear from publishers that the writing was mediocre and that they weren’t interested in our magnum opus. Yes, that criticism stung. I had been writing magazine articles for the last dozen years, and consistently heard from editors, interviewees and the general public that I was a wonderful writer. And I was a good writer! In hindsight, however, I wasn’t good enough. After some indignant wailing and gnashing of teeth, I finally realized that the publishers who had rejected our manuscript knew what they were talking about. So Tom and I threw out what we had worked so hard on and started over. And I challenged myself to step my game up. Fortunately, Tom’s son, Trent, a senior writer at Newsweek, entered the picture. I would polish each chapter as well as I could and e-mail it off to Trent, who would send it back awash in red editing marks. Swat your ego aside and kick it out the door! Do not take constructive criticism personally! No matter where a suggestion comes from, if it makes the book better, accept it with gratitude. Never forget this: It’s all about the book, it’s not about you! I looked forward to Trent’s comments because he was a much better writer than I was. As I examined each one, I would find myself thinking, Yes, he’s right, that does make it better and Okay, I can see what he’s doing here, that is a good idea. Trent’s critiques heightened my awareness of how I could improve the quality of my writing. I studied Trent’s approach and techniques and made them my own to the extent that I could. I’m exhausted. I spent all day putting in a comma, and all afternoon taking it out. One day, I wrote a story for a new chapter and fired it off to Tom for his review. That’s how our process worked: I would send my first draft to Tom to get his comments before forwarding it to Trent for a final coat of paint. Tom told me the next day that he had read the story, loved it, but had a moment of complete confusion. He told me that it was obvious to him that Trent had written the story, but then he realized that Trent couldn’t have written it because he himself was only seeing it for the first time. He finally came to the conclusion that I had raised the quality of my writing a notch or two. I was quite pleased! I had learned to Trenterize my writing style while still making it my own. I figure I got maybe three-quarters of the way to Trentville but even that was a major triumph. 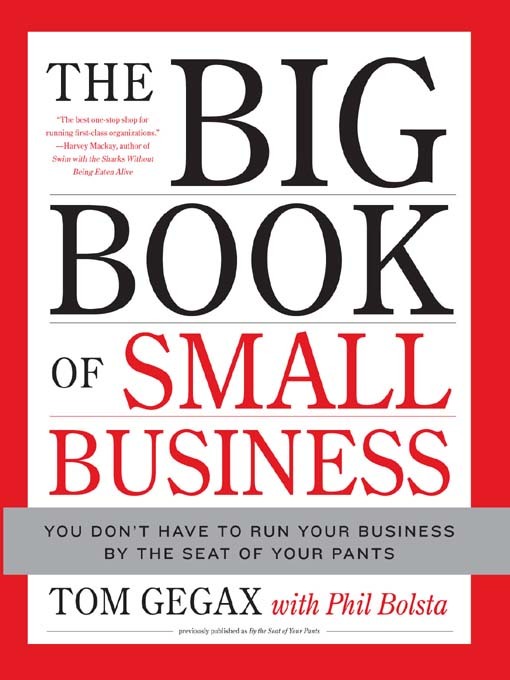 That business book was eventually published by Harper Collins as The Big Book of Small Business: You Don’t Have to Run Your Business by the Seat of Your Pants. Thanks to Trent’s input and influence, the quality of the writing is A+. Best of all, I had become a much better writer. I fully realized this when I revisited an essay I had written about the time that we had finished the first doomed draft of the book. The essay was a humorous and poignant celebration of all the times my daughter and I had visited Wisconsin Dells. I had thought at the time that it was well written. But now, as I read through it a year later, I thought, Wow, I can make this so much better. And I did. Click here to read it. The point is, I was already a highly regarded professional writer before I started writing that book. Learning that I wasn’t nearly as good a writer as I thought was a huge wake-up call. I tell this story to all aspiring authors, most of whom are not professional writers, to illustrate that the quality of their writing is probably nowhere near where it needs to be. Just because you can type words on a piece of paper does not make you a writer. Anything that isn’t writing is easy. Yes it’s hard to write, but it’s harder not to. • Subscribe to Writer’s Digest magazine. It’s filled with articles that writers at all levels need to read. • Read Writer’s Digest books. They offer books on every imaginable topic, from magazine articles to fiction to nonfiction to query letters and beyond. • Enroll in as many writing seminars as you can afford. Locate them by Googling “writing seminars” and your city. • Write, write, write! The more you write, the better you’ll get. Personally, the better writer I become, the more inspired I am to become even better. And the more I improve, the more room for improvement I see. • Read, read, read! Consume as many books as you can, preferably in the genre you want to write for, with a critical eye. Absorb, absorb, absorb! Most of the first-time authors who approach me for feedback have no real desire to become a better writer. They have other priorities, which is perfectly understandable. Perhaps they’re immersed in a subject matter or an idea that they want to share with the world as quickly as possible, and they figure a book is the best way to do that. 1) Ignore reality and continue to submit your tome to agents, who will continue to send you rejection slips. How do you find an agent? Find books in the same genre as yours and look in the Acknowledgments; authors always thanks their agents. Send your manuscript to those agents with a note that you think they’d be a good fit for you since they were the agent for (insert name of book here). NOTE: You do not submit your entire manuscript to an agent, you submit a book proposal. Click here to learn about writing book proposals from Linda Sivertsen. And click here for William Cane‘s comprehensive website featuring articles on not only book proposals but on every aspect of book publishing. 2) Self-publish, which is a whole different world. Self-publishing can be successful if (1) your content is a once-in-a-lifetime blockbuster that goes viral (like The Shack), (2) you self-publish with the intent to get noticed by a big publisher who then gives you a huge advance and lots of love because the quality of your content is top-notch (click here to see how it worked for Lisa Genova‘s book, Still Alice), or (3) if you have professional creative support, an established customer base, killer networking skills, savvy marketing and promotion know-how, inexhaustible optimism and perseverance, and lots and lots and lots of time to do whatever it takes to get your baby out in the world. Then again, it depends how you define “success.” If you simply want to be able to know the joy of holding your published book in your hands, then self-publishing may be the best choice for you. For more info on self-publishing, hightail it to your local library and check out the March/April 2009 issue of Writer’s Digest. The good news is that self-publishing no longer carries the stigma that it used to. The even better news is that it’s easier than ever to self-publish thanks to sites like CreateSpace.com, a website owned by Amazon. CreateSpace is a print-on-demand service, meaning that a book isn’t actually printed until a customer orders it (typically through CreateSpace or Amazon). The best news is that CreateSpace is free. Yep, that’s Free with a capital F.
Here’s how CreateSpace works: Upload your manuscript as a PDF (a Microsoft Word doc is also an option). Within days, you will be able to order a proof copy at full price. As soon as you receive the proof copy and approve it, your book will be available for sale. It’s that simple. Did I mention it was free? I know, it all sounds too good to be true, but it’s all that and more. Using CreateSpace allows you to publish your book immediately at no cost and retain complete creative control. What’s more, you’ll receive about five times the royalty per book than you would get from a traditional publisher, so you only have to sell one-fifth the number of books to make the same amount of money. You also receive an author discount when you order your own books. Even if you only sell twelve books to friends and family members, it’s still a huge success because you will have actually published your book! NOTE: If you’re looking for a fantastic book designer, I highly recommend Jay Monroe. He’ll design your cover and the interior of the book, take care of all the publishing details, and upload a PDF for you onto CreateSpace. I’ve worked with Jay on five books and wouldn’t think of working with anyone else. No, I do not receive any commission from Jay for recommending him. I just like to put people in touch with skilled professionals who will treat them well. Click here to e-mail Jay. 3) If your goal is to share information with as many people as possible and you don’t care about making money, then perhaps you should post your content online, either in the form of a blog or on a dedicated website. For example, if you have valuable information about how to live with someone who has Alzheimer’s and you’re not a skilled writer, you probably wouldn’t reach many people via the book route. But if you created a blog about living with Alzheimer’s, you could reach thousands of people, built rewarding interactive relationships, and continually improve the content by editing what you’ve written whenever you feel like it. 4) Hire a professional writer to edit your draft. This can be expensive, especially if your book needs to be heavily revised rather than just lightly edited: such editors typically charge at least $40 to $50 per hour. I have been asked many times to write a book for little or no money upfront with the promise of riches down the road when it becomes a surefire bestseller. Umm, no thank you. The odds of raking in royalties like that are roughly equivalent to me becoming a star player in the WNBA. Yes, foreign rights might bring in a few thousand dollars upfront but typically, foreign language rights income is split 50-50 between the publisher and author after deducting any fees for currency conversion and/or foreign agents—sometimes a publisher works with a foreign agent to arrange sales in their country rather than working directly with publishers, which saves everyone a lot of time and expense. On top of that, the agent gets 15 percent, and taxes further erode the remainder. I’m certainly not complaining; any royalties are welcome! I just wanted to emphasize that, unless the translated books take off like wildfire, the writer’s share will be modest. Add in the hundreds of hours it took me to not only write the book but promote it via readings, radio and TV appearances, blogging and social networking (click here to read how to build online awareness of your life’s work), and I figure I made twelve cents an hour. Do I have second thoughts about writing the book? Absolutely not! I’d do it all again in a heartbeat! I didn’t write the book to make money, I wrote it to enrich my life and that of others. And in that sense, I’ve been wildly successful. I’ve built many wonderful relationships and have a deep and abiding satisfaction that comes from knowing I’m doing the work I’m supposed to be doing in the world. I don’t write only to achieve a goal; I write because I have to write. It’s like breathing to me. As much as I’ve improved the quality of my writing, I’m continually discovering how to add more clarity and precision. This is difficult to accomplish on your own, no matter how well you edit your own work. I have sent out the manuscript of my next book to a number of people for feedback and I never cease to be astonished at the way other people react to what I’ve written. While reading their comments, I often think, Wow, I never would have interpreted this like that. Even more important, input from others often opens my eyes to some very important and fundamental writing wisdom I really needed to know. It’s easy to understand why other people look at your finely crafted sentences completely differently than you had intended. Not everyone thinks and processes information the way you do. On top of that, everyone has different viewpoints, biases and life experiences. This is why I tell all aspiring writers to ask anyone and everyone to give them feedback on their precious prose. In this case, it’s fine to ask family and friends for their opinions because while they may not be able to discern the quality of your writing, they are experts in evaluating how what you’ve written personally strikes them. The way someone sees it is the way they see it, and if one person interprets a sentence a certain way, you can bet plenty of others will too. So again, throw your ego out the window and scrub that sentence until it sparkles with clarity and precision. You’ll get even better results if you ask for feedback from people who come from different cultures, live different lifestyles and have different beliefs than your own. For example, if I’m writing about spirituality, I want to run it by friends who think my beliefs are horribly misguided because I can’t possibly see my work from their perspective—and I want and need to know how people who have a completely different belief system will interpret what I’ve written. The trouble is, most people you ask for feedback are too polite to tell you what they really think, even if you assure them that you want them to hit you with both barrels. So I wrote a cover letter that grabs them by the lapels and shakes them silly until they promise to let the fur fly. Here’s the letter. Feel free to use it for your own purposes. Hi! Thanks for agreeing to review the manuscript. I appreciate it very much. The first chapter is attached. As soon as you send me back a chapter, I’ll send you the next one. Please let me know what changes you think should be made, no matter how minor. If you think a better word should be used in a particular sentence, let me know. If you think a sentence is too vague, say so. You cannot make too many suggestions and no revision is too small. The bottom line is, I want to make this book as good as it can be. Therefore, while I do want to know what you like, I’m far more interested in what you don’t like. Tell me what doesn’t work for you. Tell me where you think the text is lacking in clarity and precision. Let me know if you think something important is missing. Don’t tell me what you think I want to hear. Tell me how you really feel. Be blunt. Don’t pull any punches. Let me emphasize this: I want you to challenge me! The whole point of this exercise is to make improvements and I won’t be able to do that if you tiptoe around an issue because you think you’ll hurt my feelings. Don’t worry. You won’t. If you can send this document back with your comments embedded using Track Changes, that would be terrific. If you prefer to give me your comments over the phone, that works, too! I will be grateful for whatever level of feedback you are comfortable providing—macro, micro or anything in between. Let me repeat: You cannot make too many suggestions and no revision is too small. I first discovered the power of book-review feedback while working on The Big Book of Small Business. We would e-mail specific content to professionals with expertise in that area with questions like What do you disagree with? and What killer tips are we missing? The responses we received were enormously helpful and opened our eyes to issues we would not have anticipated on our own. Of course, what you do with such feedback is up to you. If you feel it’s off base, ignore it. If it strikes a chord, then roll up your sleeves and start polishing. Don’t be surprised if you get conflicting feedback from different sources. Some people in the e-mail focus group for our business book would rave about a particular idea while others said it was the worst idea ever. Oh, well. You can’t please everybody. Just follow your gut feeling and do what feels right. But don’t take my word for it that feedback is a must. Follow Barack Obama‘s lead. According to book marketing guru Steve Harrison, Obama sent drafts of his book, The Audacity of Hope, to friends, legislators and even media members with a request for feedback. He listened to the suggestions that came back and made changes accordingly. That’s a president precedent I can heartily endorse! The most amazing thing is that your letter—beseeching me to be brutally honest—is very similar to ones I have written when asking others to review my work. It was like looking into a mirror and it opened my eyes. It also tells me exactly where you are and what you need because I’ve been exactly where you are standing now. You’re standing too close to the material and need the perspective of someone who’s looking from the outside. I’ll try my best. As a bonus, click here to download Arielle Ford’s newsletters, which cover publishing, publicity, promotion and platform building. Arielle is America’s #1 book publicist. Click here to visit her website to sign up for her free e-mail newsletter and learn everything you should know about how to become a bestselling author. This entry was posted on November 10, 2009 at 8:29 PM and is filed under See INDEX categories above. You can follow any responses to this entry through the RSS 2.0 feed. You can leave a response, or trackback from your own site. Glad you found it helpful, starlight! An excellent article that is concise, yet filled with the proper content to not only inform and educate the reader, but entertains them as well. Bravo!! Thanks, Ron! I appreciate that! Awesome job of including ALL of the salient points in one piece! I must robustly second your advice about paying for professional critiques. I’m now up to FOUR different pros who I pay for critiques, and it’s worth every penny. I LOVE getting the text back covered in the red lines you mentioned…more learning and knowledge for me. My singular intent is mastery as a writer in this lifetime. Also, your point about reading a lot in your genre is so important. ‘May seem obvious to many, but I’ve always struggled to do it (because with any free time, I want to be writing!). And, often, I’ll be tormenting myself over how to handle a problem in an essay, when it dawns on me: “Oh, I actually just don’t HAVE this information; I simply, plain old don’t know how to do it.” So then I have to read some more essays and learn the conventions, forms, point of view or structure I’m fumbling for. Of course, sometimes, the blind fumbling results in the coolest stuff. But I’m new to essays, so I think one should learn the “rules” of a form before one begins breaking them. I seem to have gotten onto a tangent…all inspired by your wonderful post. Really nice service to all writers, Phil! Thanks so much, Mark! It’s great to hear that you’re so committed to improving your craft. That’s exactly the kind of attitude I try to inspire in aspiring writers. Unfortunately, it’s all too rare. Yes, you nailed it when you noted that time for reading is at a premium because you’re so focused on your work. I can relate. Big time. And you’re quite right that a writer needs to study the form and structure of what they’re trying to write before they begin writing it. Love this blog. Love, love, LOVE it. So many wonderful points and examples; nicely presented with lots of quotes. Great! Except for the reference to self publishing. Some of us have worked in Journalism and Publishing (*eh hem* – hi!) and for those folks (me!) self publishing can be fantastic. I had experience, contacts, a creative team in place, an established reader base and some PR know-how. I’ve had to re-order books twice already (since August!) and I have sold out at book signings. I am an entrepreneur at heart, and forever have resisted working for “The Man” – I’ll concede, however, that this path is not for everyone. It is much, much more work. The financial payouts are much, much better, however. Just sayin’. I am loving your points about receiving feedback and maintaining an open mindset regarding constructive suggestions for change. 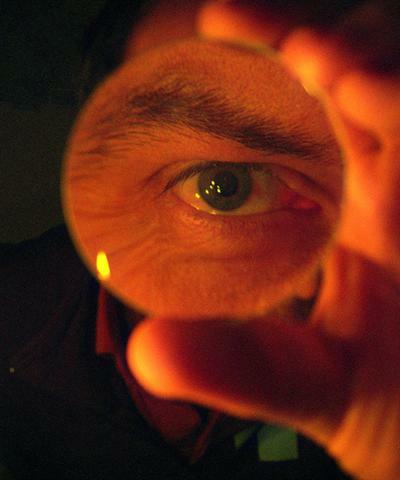 THANK YOU Phil – I love your writing and yes, this was a great post. Thanks for making my day, Jo Lynne! As an example of how to improve your writing by accepting constructive criticism, I just beefed up the self-publishing section to acknowledge and validate your points. Many thanks! Thanks for writing this — exactly what I needed to hear today! I am so jealous that you had access to the wonderful mind of Trent Gegax — if only he were sitting here next to me as I write!!!! You’re very welcome, Arielle! Allow me to introduce you to readers. For the past twenty-five years, Arielle Ford has worked in nearly every aspect of public relations and marketing. Her clients have included bestselling authors (including 11 authors who reached #1 on the New York Times bestseller list). 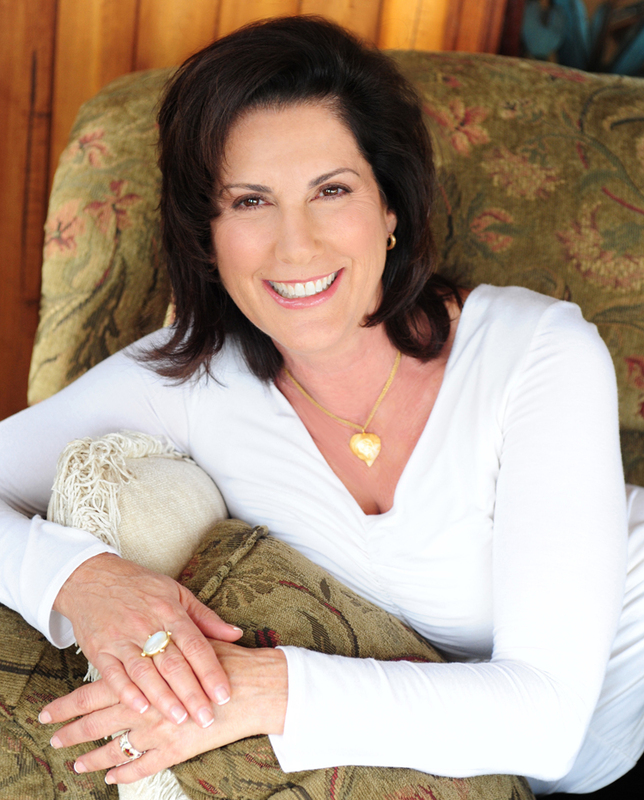 Arielle is also an accomplished author whose books include “The Soulmate Secret” (http://www.soulmatesecret.com). Thanks for visiting, Arielle! I hope that aspiring authors who read this check out what you can offer them! No accident I “ran across” your article tonight. I’m writing my first book. I intend to put to use what you’ve provided here. My one question is Trent available for giving feedback? Glad to hear that, Llenar! That’s why I wrote it. Good luck with your book! No, I’m afraid Trent is not available for book consulting. Phil, thank you so much for this article! I have just finished NaNoWriMo and am sharing this link with my fellow NaNoWriMo winners. Extremely helpful advice – thanks again! My pleasure, Beth! Thank you for sharing it with your writer colleagues. I wrote the post with the hope that it would be of help to other writers. i like to watch documentaries, especially those from National Geographic. Initially, I was drawn to just the subject matter at hand, but I soon began to marvel at how they were put together. The end-products flowed so smoothly and harmoniously from introduction to conclusion, using the different tools of photography/cinematography, music and the narrative, and subtle nuances to get a message or a feeling across. At the end of each episode, I would think back to the thought processes of those who put it together and realize just how complex it was – these were the handiwork of master storytellers. when I began to write articles for some online forums or blogs, I found myself drawing upon my memories of those documentaries, subconsciously borrowing the storytelling styles that have made an impression on me. Nice point of view, ArrVee. My guess is that it never occurs to most people how much work and care went into a documentary or a book or any other creative project. It’s nice that you appreciate that. My pleasure, Liz. I’m glad you found it helpful! It’s rewarding sharing information that others find meaningful. Thanks for sending me the link! It really is such an eye opener when we first realize that being a good writer is not good enough. The great thing about this? I get to surround myself with wickedly intelligent people as I struggle to improve. The experience is amazing. Great blog post. Thank you! Wickedly intelligent people are always good company, Johanna! Best of luck to you! Thanks for the laugh. I appreciate your comments, all so true. Especially about how much better you get the more you write. I cringe a bit at the pieces I wrote years ago, so you’re 100 % correct. There are days when I wish I was doing something else, but I know I can’t. It’s why I get up in the morning. My pleasure, Patricia! Nice to connect with you! Fantastic post, Phil! As an asspiring writer, you’ve just given me the basic tools to get started on the book people have asked me to write for years. I even jotted down a book title and chapter titles. With this structure in place, I know my writing assignment for tomorrow morning. What a difference when the right information at the right time intersects an open heart! Thinking of the old Chinese proverb, “When the student is ready, the teacher will emerge.” Thank you, thank you, thank you! May all your writing find its intended audience. Good for you, Laura Ellen! I’m glad you found the inspiration you need here! Good for you, Sandhya! Set them free, and the sooner the better! Love your blog . . I am in for a long haul but also feel complelled to write. 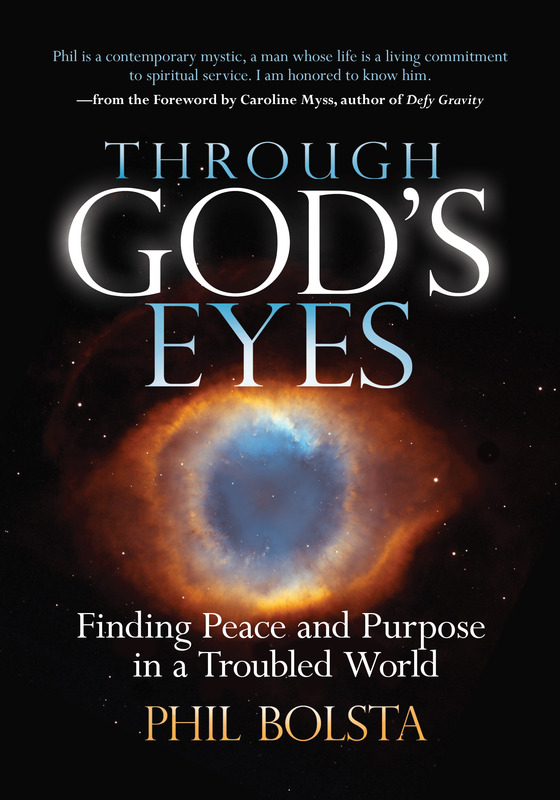 I have yet to read your books but am going to get myself a copy of “Through God’s Eyes” as I am also spiritual in my blog writings. I am trying to decide if I have a story or not . . been through much adversity and am now a writer/assoc. editor for some small newspapers in rural MN and love it. Thanks for all the helpful suggestions. I bookmarked your site and will be back! Thanks so much, Traci. Everybody has a story. It sounds like you have had a series of awakenings, which is always worth writing about. So start writing and see where it takes you. No matter what the final result is, you won’t regret it. I am a unpublished author, here’s what I will say. First it all depends on your belief in yourself, secondly you have to care about what your writing and the audience your trying to reach. Third, you have to put together all the elements of your book recipe out to share,..but only give a taste of the creation. 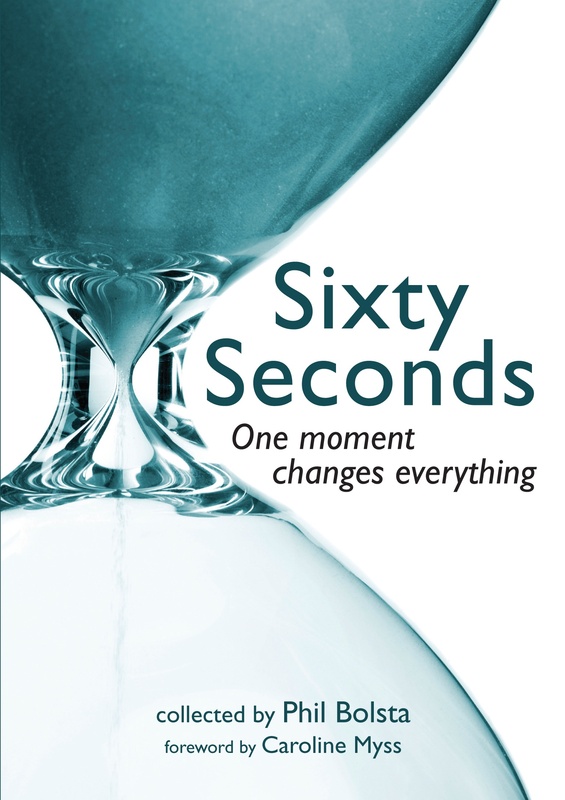 A little at a time will do it, suspense is one of a writer’s weapons. I certainly agree, John, that a writer absolutely must believe in himself or herself. However, the most important requirement for getting published is the quality of the writing. No matter how much confidence and self-esteem a writer has, if their writing is only mediocre, they will end up writing solely for their own enjoyment (which can be considerable) because no one else will want to read it. Some great food for thought Phil, and I am going to look at this again and again! For most of us, success in anything comes after a very hard slog and lots of disappointments. But as you write more, you will get better. You said it, Tim! If you want to improve the quality of your writing, a big part of that is writing and writing and then writing some more! What wonderful advice! I will keep this link and review it many times to help light my way! I’m glad you found value in it, Cindy!